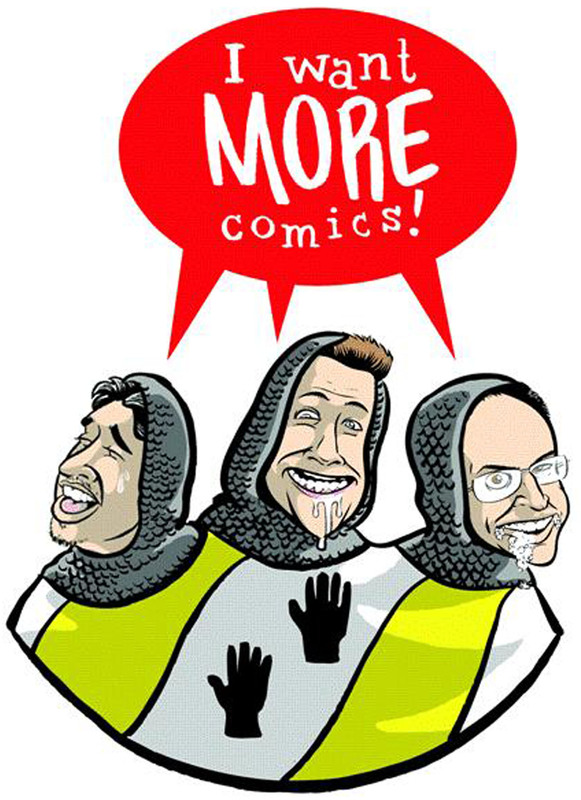 Hello and welcome to episode #18 of the I Want More Comics Podcast! On this episode we discuss our Top 3 DC Comics stories. In the News we talk about some of the sale figures for the past three months, and some last Comic Con announcements. Since last week was the fifth week of the month we skipped Picks of the Week to discuss our Top 3 DC Comics stories. In the Spinning the Racks we chose our Top 3 DC stories with Sean choosing The Authority, Gotham Central and Starman. Zack chose Crisis on Infinite Earths, Geoff John's Green Lantern run and the weekly series 52. Richie chose Dark Knight Returns, JLA "Tower of Babel" storyline and Forever Evil. Keith chose Watchmen, Superman Red Son, and the Batwoman arc in Detective Comics by Greg Rucka. See you guys in one week!